Having revised a previous iteration of this list (a top 50) more times than I care to admit, as well as coming to the realization that a lot of games just plain don't stand the test of time very well, I decided to do a revision of sorts. This time, we look at my choices for the 30 best Sega Genesis games which are still fun to play today, twenty years after the platform's time in the limelight had come to a close. As with the previous iteration, I've also tended to avoid cross-platform games except when they were better on the Genesis (as the SNES had generally superior hardware, which resulted in better ports in most cases), and allowed games for its add-on peripherals, the Sega CD and 32X, to offset that. So with all that out of the way, here we go. First person shooters were really starting to kick into high gear in the mid-90s, though console offerings were scarce at best. One that proved surprisingly competent, however, was Technopop's Zero Tolerance. Featuring multiple playable characters a la Rise of the Triad and nearly forty stages of gameplay, complete with a variety of enemies, bosses and creative weapons and power-ups, it had a surprising amount of content, and it remains a relatively fun game despite its blocky graphics and low framerate. Hell, they even implemented a two-player co-op mode in a very roundabout way (by connecting two consoles via a third-party link cable), so you couldn't blame them for their ambition, at least. In an era when licensed games - comic book games in particular - generally ranged from mediocre to godawful, Maximum Carnage is one that stands out. A competently made beat-em-up with colorful graphics reminiscent of its source material, good animation, a variety of iconic Marvel characters (only Spider-Man and Venom are playable, but numerous others appear as bosses and can be called in as special attacks), some hidden secrets and alternate paths to encourage replay value, and an impressively-rendered rock soundtrack composed of tracks by Green Jelly and Black Sabbath made it a solid beat-em-up title with a strong presentation and quite a lot of gameplay mileage. It lacked two-player co-op, but other than that, this was one of the better Marvel titles of its era. 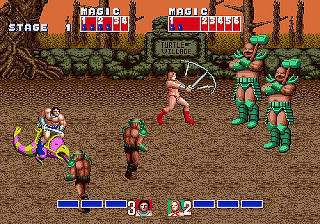 It may not be the draw it once was, but Golden Axe was one of the big three beat-em-up franchises back in the late '80s alongside Double Dragon and Final Fight. It certainly brought a unique flair of its own with its dark fantasy setting, giving the player access to magic spells (from calling down lightning to summoning a dragon to breath fire on opponents), rideable mounts and plenty of giants, monsters and skeletons to bash. The Genesis version certainly didn't disappoint either; delivering a very arcade-authentic experience as one of the platform's first games certainly helped to win gamers over to Sega's 16-bit powerhouse in that era. It also had two sequels on the platform (with 3 never getting a North American release), but the first one remains the best and most iconic of the franchise. An excellent port of a classic computer game from the mind of famed developer Sid Meier. Combining elements of open-world adventure, arcade action and simulation, the game puts you in the shoes of a privateer, pirate or pirate hunter in the 1600s and basically just cuts you loose to pursue your interests. Plundering ships, raiding cities, ship-to-ship battles and good old one-on-one duels are all a part of the experience, as is hunting for the various caches of riches in the region. While there is no real "victory" condition for the game outside of trying to get a high score through various means, its open-ended design, the surprising degree of freedom it affords and a stellar presentation make it a game you can easily lose hours to. Widely viewed as the black sheep of the Phantasy Star franchise, and it's not an entirely unfair description as its story doesn't really continue from the previous game, nor does it live up to the previous games' standards for overall design, music or visual quality. However, those who could put the branding aside and judge Phantasy Star III on its own merits found a game of considerable worth. 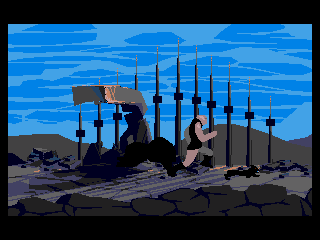 The story follows three generations of a royal family on the alien world of Alisa III, with the player experiencing events differently depending on the choices they make at the end of each generation, which lent the game uniqueness and replay value. 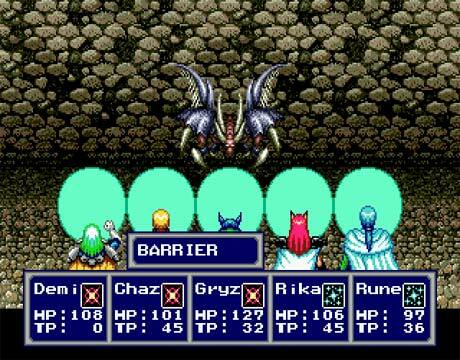 It also had some clever story twists and the same imaginative atmosphere that the series became known for, so in spite of its overall rushed feel, Phantasy Star III was still a good RPG with a lot of innovative ideas for a 1991 release. Maybe not up to the lofty standards the rest of the series set, but worth checking out regardless. 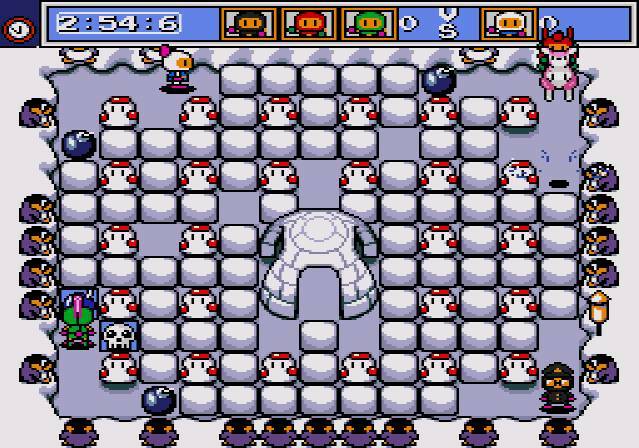 A port of the Turbografx-16's Bomberman '94 (which never saw a western release on that platform), and another fine entry in the long running Bomberman franchise. While there is a single player campaign taking the player across six themed worlds, the real draw once again is the multiplayer mode. 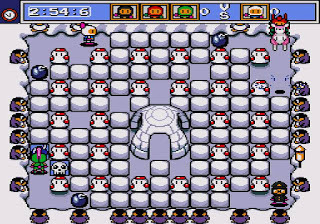 Being one of the few games to support the Sega Team Player Adaptor, up to four players can join in a match as they collect powerups, avoid stage-specific hazards like missile-lobbing penguins, and generally try to be the last Bomberman standing. Another new addition was "Rooies" (or "Louies", depending on the translation), ridable kangaroo characters that would grant the player abilities like being able to hop over single-square walls, move much more quickly, or kick bombs away. A blatant attempt to cash in on Yoshi, the ever-popular sidekick character from Super Mario World? Maybe, but it added some extra charm to the game. 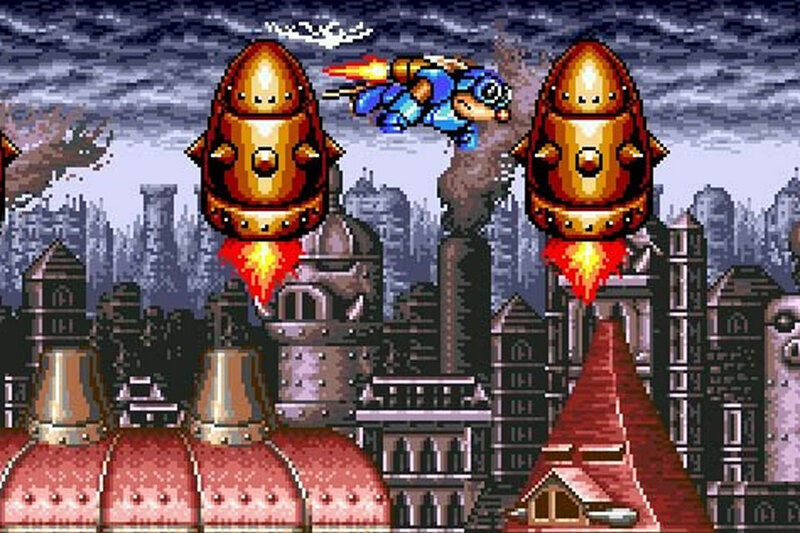 One of only two Mega Man games to be exclusive to a Sega platform (the other being an odd little Game Gear game simply titled "Mega Man"), Wily Wars features aesthetically-enhanced remakes of the first three Mega Man titles, which are genre-defining classics in their own right. 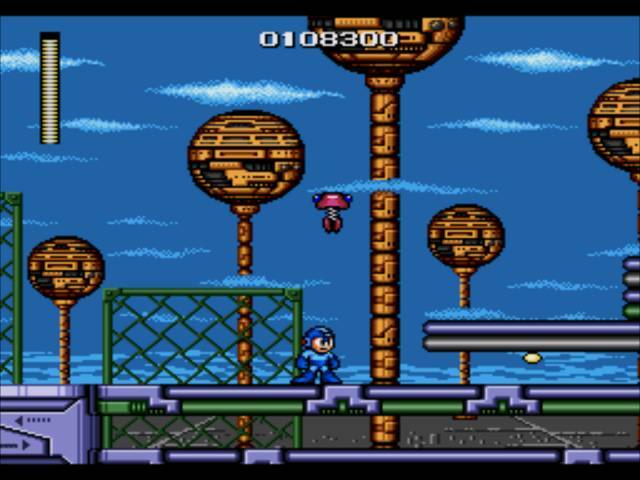 But the real draw is the bonus game - a new feature called "Wily Tower" that unlocks after the other three games are cleared, and features five exclusive stages and three new bosses that have never appeared in another Mega Man title since. You even get to face this challenge with your choice of any of the weapons and items you collected from the first three games. Pretty cool stuff. Unfortunately this is also a very hard game to come by, only seeing a limited release in Europe and Japan and never being put to the cartridge in North America (though it was briefly available as a Sega Channel exclusive). The last entry in the Fantasy Zone franchise, and strangely the only one to never be given a North American release (until its relatively recent appearance on the Wii Virtual Console, at least). Not much has changed from its earlier arcade/SMS counterparts, but really, does it need to? 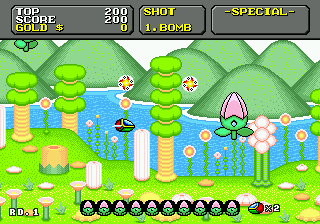 The game sports the same colorful graphics, uniquely surreal environments and bizarre bosses it always did, and that always equates to a good time. Sunsoft certainly knows not to fix what isn't broken, especially with a classic Sega franchise like Fantasy Zone. 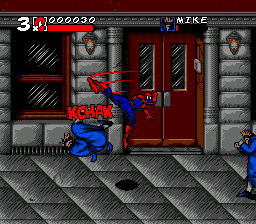 While the Genesis version of Spider-man was a decent (if overly difficult) game, most people remember Spider-man's foray on the Genesis as an oddly-shoehorned boss in Revenge of Shinobi alongside numerous other licensed characters, most of which were altered in later versions of the cart. 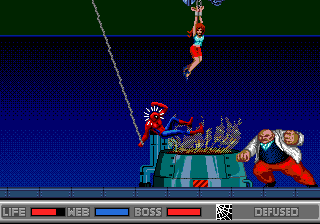 But not too many people remember the enhanced Sega CD version of Spider-man VS the Kingpin, and it's a shame as it's a vast improvement over its Genesis counterpart. Not only did it feature surprisingly good cutscenes, music and voice acting (for the time, at least), but the gameplay was vastly streamlined by no longer having to find money and having a generally faster pace. 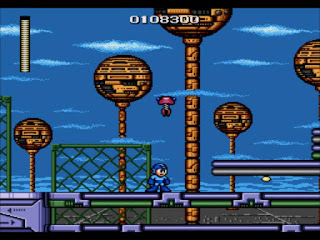 The game also provided more nonlinearity by allowing the player to visit stages in almost any order and even two new levels. Spidey has had quite a few games over the years that have varied pretty heavily in quality, but this is definitely among the better ones. 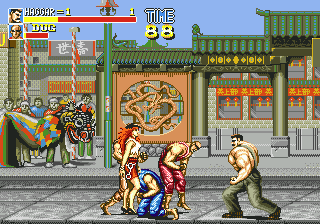 The SNES port of Final Fight suffered from many technical issues, being limited to one player gameplay, missing a stage and having only two of the playable characters from the arcade game. 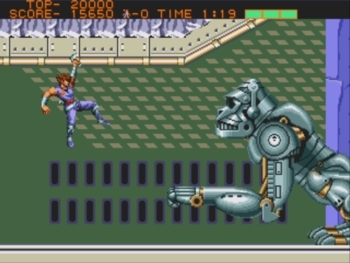 As with Strider, Sega saw an opportunity to capitalize and licensed the game to produce their own version on the Sega CD, delivering an experience that was much more faithful to the original. 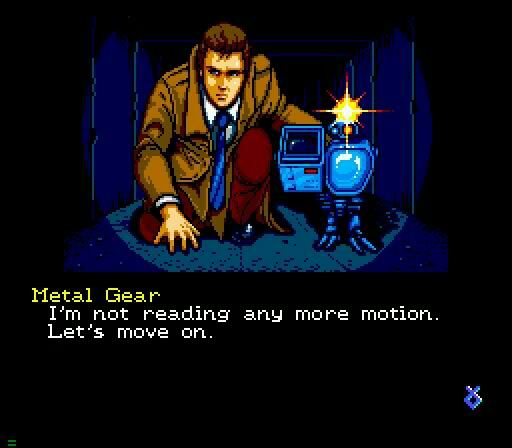 Of course, being on the Sega CD, it also featured a retooled soundtrack and some bits of voice acting in the intro and ending, both of which are pretty forgettable. 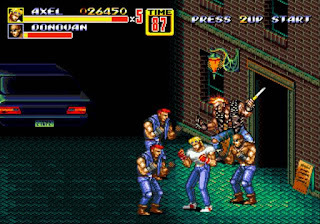 But the gameplay is what matters most, and Final Fight CD was as close to the authentic arcade experience as you could get at the time. A lot of people ended up somewhat disappointed with Sonic the Hedgehog 3. 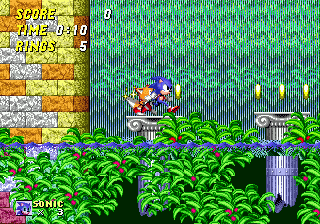 While it did make substantial improvements over Sonic 2 in stage variety, aesthetics and gameplay mechanics, it felt like a bit of a gyp in the longevity department, having roughly half as many stages as Sonic 2 did. Well, there was a reason for that, and that's because the game was about half as long as originally intended. 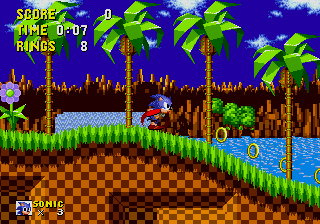 The latter half was later released as "Sonic and Knuckles" and featured a unique double-ended cartridge with "Lock On technology" that would allow both games to be combined together into one big adventure; kind of the contemporary equivalent of full-priced DLC. But hey, having a game cart stack on top of another cart to create one mega-game was an awesome concept at the time, and they added a couple bonuses as well; you could play as Knuckles in Sonic 2 by locking on with that game or play endlessly generated levels of the Blue Sphere minigame by locking on to Sonic 1, so it didn't feel too much like we were getting short-changed in content. Perhaps the most unique roguelike ever produced, ToeJam and Earl isn't about trying to escape some medieval dungeon or tower or something in an attempt to secure your freedom. No sir. 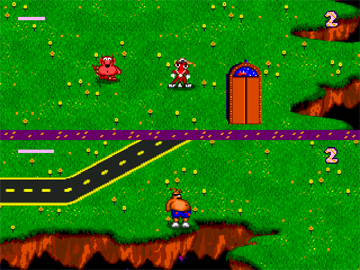 Instead, we have two aliens crash-landed on Earth (the titular ToeJam and Earl) trying to collect the scattered pieces of their ship, avoid hostile earthlings and return home to Planet Funkotron. As you'd expect of the genre, the game features randomly generated levels, a slew of enemies to encounter (this time in the form of things like killer ice cream trucks, mad scientists and chickens with mortars), and randomly generated items in the form of gift boxes. These can be good things, ranging from items that help you get around quicker and avoid enemies (spring shoes, rocket shoes, inflatable decoys), weapons (tomatoes, boom boxes that stun enemies). Or they can be bad things, like the "Total Bummer" (instantly lose a life), Rain cloud (depletes your health) or the Randomizer (which scrambles the effects of all gift boxes, forcing you to start from scratch on figuring out what all of them are). A smash hit top-down shooter on the Genesis that's only gotten more popular over the years, resulting in this game's rapid ascent into rarity and high prices on the secondhand market. 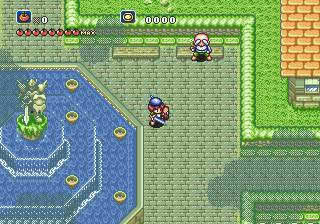 Fortunately it's also on the Wii Virtual Console, so those without deep pockets can experience it as well. And they should, as it's a fantastic experience. Fluid, fast-paced, colorful and with a huge variety of weapons and strategies to employ as per Compile standards. The setting is also unique, being something of a cyberpunk feudal Japan with pagodas on tank treads and giant robots flying through the skies blowing up everything. Top that off with a delightful soundtrack and you have some weird, wild, fast-paced shoot-em-up fun. Sega touted the 32X as an upgrade that would turn the Genesis into a "home arcade system." 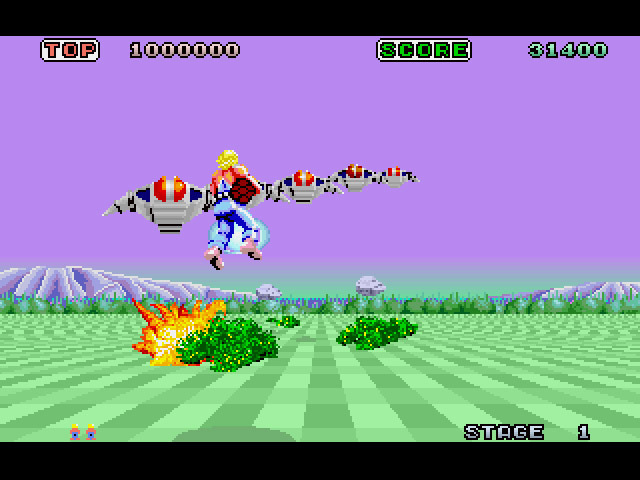 While that claim was met with ports of varying quality (mostly falling on the "average to bad" end of the scale), Space Harrier managed to deliver a truly arcade-perfect experience. Buttery-smooth, sprite-based action in a surreal universe that combined flying stone heads, dragons, robots and vast fields and caves full of stone pillars and spinning orbs for you to crash into and blow up with your giant flying cannon-rocket. One of the few truly worthwhile games for the ill-fated addon. 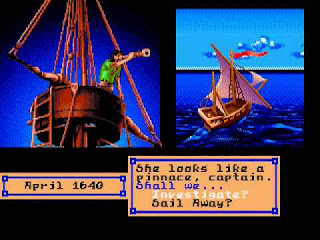 Treasure was a rising star on the Sega Genesis, putting out several high-quality titles that combined fluid gameplay with incredible visuals. This is easily the most obscure of their Genesis titles, only seeing release in Japan during the later days of the system's life (and being exceptionally rare and expensive now as a result). It's a bit of a pity, too, as Makyo Toitsusen is an amazing experience. 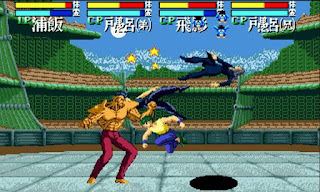 A fighting game featuring eleven characters and up to four players duking it out at the same time, as well as some clever and relatively new mechanics like juggle combos, two tiers to fight between (a la some of the Fatal Fury games), back-dashes to evade attacks and the ability to charge up a special attack, store it with the Block button, then fire it later during a more opportune moment (like during a combo). While not the deepest fighter out there, it is very well made and tremendously fun. If you can find a copy, dust off your Team Player Adaptor and give it a go with some friends; it will not disappoint. The followup to the groundbreaking Sega Master System RPG, and quite an impressive title in its own right. Moving the franchise ahead with more complex enemy encounters and dungeons, it was also a trendsetter in terms of its storytelling, with a grim setting and some surprisingly dark elements (including on-screen murder and the death of a prominent party member - practically cliches now, but pretty shocking in 1990). 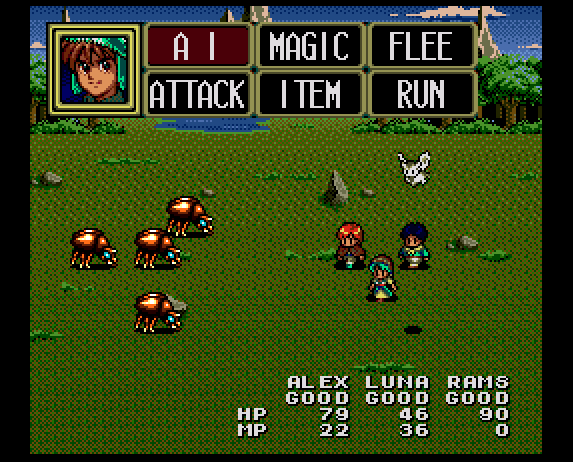 It's also among the first RPGs I recall that add a slight bit of automation to battles to make them less tedious - you can simply hit "Fight" and your characters will automatically attack until you press a button to pause at the beginning of the next turn and redefine your strategies. In the early 90s, Nintendo was still ruling the video game market with a legion of strong third party developers and a memorable mascot character in the form of Mario. Sega AM8 (later known as Sonic Team) raced to think of a way to combat the unstoppable plumber, eventually coming up with a winning gimmick in the form of a hedgehog with an irreverent attitude that would roll into a ball and blaze across the landscape at high speeds. Thus Sonic was born, and with him the Sega Genesis had a massive surge in popularity - enough to surpass the NES in sales and lead the Genesis into a rivalry with the SNES that continues to spur fan debate even to this day. While it didn't quite have as much variety as the Mario games, it did sport some creative and surreal stage design, stylish and colorful graphics, smooth animations and impressive music, as well as a more puzzle-based approach to some stages and even multiple routes through each level. 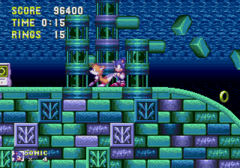 There was even a hidden ending in store for those few who managed to collect all six chaos emeralds before the end of the game, which was no small feat considering the difficulty of some of those bonus levels. Starflight was an incredible and ambitious game for its era, combining space travel, interaction with alien species, resource farming and even a surprisingly good storyline together into a grandiose experience; for a game that shipped on floppy disks in 1986, it was nothing short of incredible. 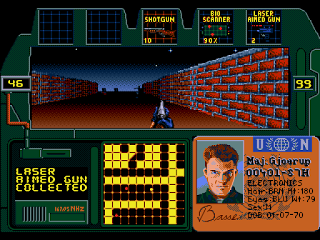 The Sega Genesis version upped the ante even further by taking advantage of the new hardware to provide some strong visuals, as well as new features like being able to outfit your landing craft with new equipment that expands its capabilities and generally faster-paced gameplay (not having to load from floppy disks anymore will do that for you). 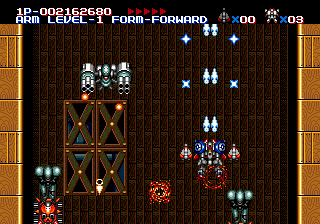 The gameplay is also somewhat more "arcadey" than its computer counterparts, but the underlying storyline and polished free-roaming design remain consistent. The world's introduction to Treasure, a company comprised of former Konami alumni known for making some of the craziest action games ever released and for making even the most die-hard Nintendo fans just a little green with envy. 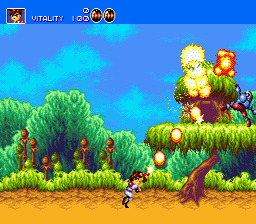 Gunstar Heroes was certainly a great way for them to start things off, with some wild, fast-paced gameplay and visual effects that were downright amazing for the time. Huge bosses, dozens of explosions occurring without even a smidge of slowdown, crazy rotation and warping effects, and even some inventive melee combat mechanics to set it apart from games like Contra - punching, slide-kicking, and and throwing enemies into each other were just as common a sight as hosing them down with lasers and flamethrowers. The game also sported an innovative weapon system - there were only four distinct kinds of weapon pick-ups, but each character could carry two at a time, and could utilize either one or combine both together into a new form with extra effects. Giant bullets, homing lasers, fireballs that could be steered around the screen, and other such madness awaits. I know I've put a lot of Sonic games on this list, but it really was a standout franchise for its time; smooth animations, fast-paced gameplay, crazy and imaginative stages and some of the best music in any video games to date. But of all the classic Sonic games, Sonic CD has to be my pick for the best. It combines all my favorite elements of both the first and later Sonic games into one solid package with its complex stages (each with four different layouts representing the past, present and a "good" and "bad" future), puzzle-solving elements and numerous routes, and its presentation is fantastic thanks to some colorful visuals, fluid animations and a soundtrack that manages to be very mellow and mesmerizing (and yes, I prefer the reworked US soundtrack to the peppier Japanese one). It brought so many innovations to the formula while losing none of the fun. The series may be a target of ridicule these days, but Sonic CD will always be one of the greats in my book. The sequel to Game Arts' legendary Lunar: The Silver Star, and it's a logical step forward in almost every respect. It still sports the same unique combat system, but the dialog and cutscenes have been expanded to an unprecedented 50+ minutes apiece, and were remarkably well produced and acted for the era (albeit with some of Working Designs, erm, "colorful" accents added). Working Designs also implemented some changes to the original release, toning down the difficulty for some extremely difficult battles and implementing a unique save system that required a certain number of points to be earned (as they saw little challenge in letting the player save at any time). It later received wider recognition and some substantially refined gameplay and presentation on the Playstation, but the original Sega CD release is still a standout title for the platform, as well as one of the games that helped to revolutionize the way stories were told in games. Another Treasure game makes the list, and honestly it's among the best games on the Sega Genesis and one of the best games they ever created, period. 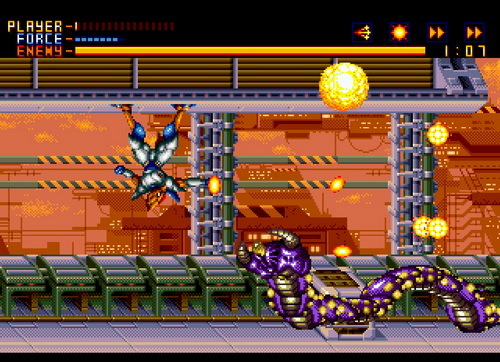 Taking the same wild action of Gunstar Heroes and adding several new mechanics on top, this is a boss rush game with an incredible amount of depth and strategy. 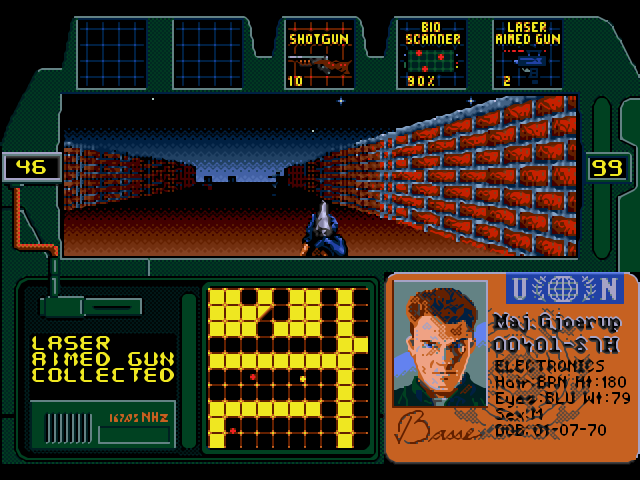 Not only do you have six selectable weapons to choose from, you also have the ability to swap between stationary and moving firing modes on the fly, block enemy bullets to receive health powerups, evade enemy attacks by jetting across the screen with an invincible dash, and even utilize a super move at full health that allows you to dash through an enemy, inflicting heavy damage and possibly even a one hit kill if timed well. You'll need to master these mechanics too, as you're usually on a strict time limit for each boss fight. Equal parts strategy, twitch reflexes and timing, this game is an absolute gem, and an inspiration to later top-notch action games like Devil May Cry and Bayonetta. Sadly it never got a cartridge release in North America, but it has since shown up there in several different formats including Steam and the Wii Virtual Console. This right here? My favorite Sega title of all time. Not only that, one of the best RPGs ever released to this very day, unforgettable in its era for its fantastic manga-styled presentation and top notch visual effects and music for the Genesis, as well as its engrossing story and memorable characters. 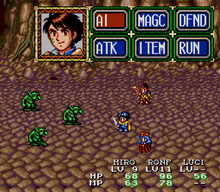 Even the gameplay was pretty innovative for the time, introducing a "macro" system that greatly expedited punching in menu commands and some innovative combo attacks that allowed two or more characters to combine their skills together into one larger, more powerful attack (before Chrono Trigger, I might add). But on top of everything, this was also an excellent conclusion to a classic Sega franchise; it never once tried to overstep its bounds or felt like it was trying too hard, it just set out to conclude the epic tale the first two games set up, and did so in a way that was satisfying and effective. For once, it also seems a company knows when to leave well enough alone, as no other game has attempted to continue the story and drag the franchise out until everyone's sick of it and it loses all the magic it once held. A lesson a lot of other companies could learn from with their own long-running franchises (naming no names...).